East and West Wing exhibition spaces are new additions for summer 2018 at central London venue. 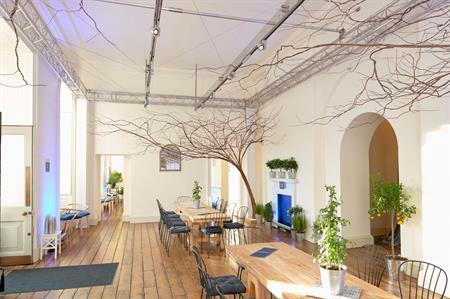 Somerset House has announced that its East and West Wings, primarily used as exhibition spaces throughout the year, are now available for private hire during the summer. For the very first time, hire of these two spaces will include an outdoor section of the Edmond J. Safra Fountain Court, where guests will be able to experience a large-scale light installation by Anglo-Korean artist duo Kimchi and Chips, entitled Halo. Over 100 mirrors will reflect the sun through the mist of Somerset House’s famous fountains to ‘draw’ a shape of light suspended in the air. The shapes will appear and disappear throughout the day depending on the sun’s position. The East Wing can accommodate up to 300 for a standing reception and the West Wing 150.